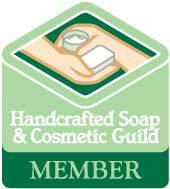 A classic, this soft pink soap will take you into a rose garden paradise. 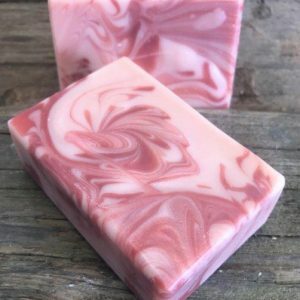 For rose lovers, this soap is for you! The fragrance of a gardenia in full bloom is not one you'll soon forget! 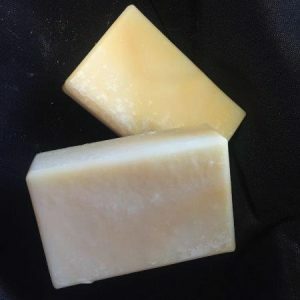 This soft off white bar has a very rich and striking fragrance. 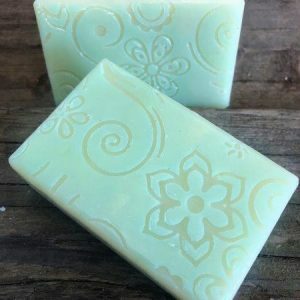 If you love gardenias, you'll love this soap. 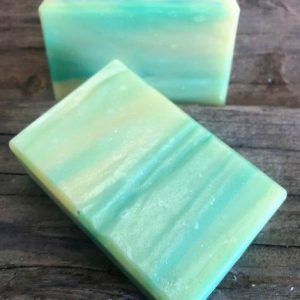 For a refreshing moment in a long hot day, try this lemongrass and sage soap! The strong lemony citrus will refresh your senses, and the sage will guide you to the country. 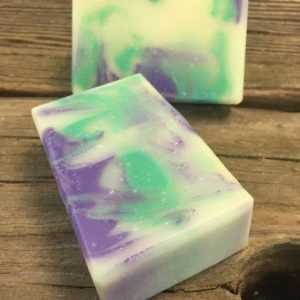 If you love Jasmine, you'll love this soap. 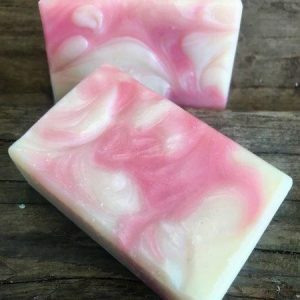 This soap is a soft white bar with a blush of pink and a pure jasmine fragrance. 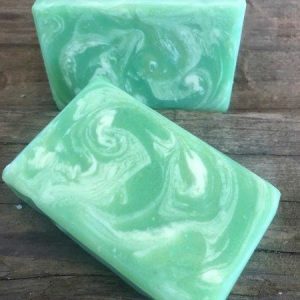 A beautiful multicolored green and white bar, this clean fresh smelling bar is a joy to wake up with in your morning shower. Yummy summer blackberries muddled with fresh sage! This soap fragrance sounds like an umbrella drink, but, it’s not! Just another great fragrance to freshen up your summer shower. The fragrance of a lovely glass of Chardonnay Wine. Pair it with a glass (or bar in this case) of Cabernet Soap! So we put 'de lime in de coconut,' and what a great smelling bar of soap it is! 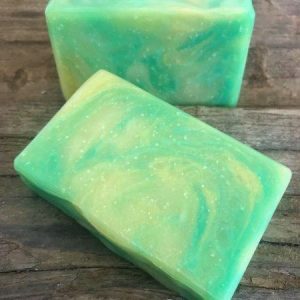 A green and yellow bar with a hint of white, this soap has a very light fresh spa like fragrance. 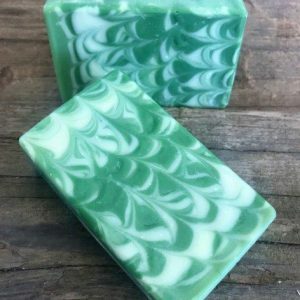 Neither floral nor fruity, this lovely mint green bar has a refreshingly clean fragrance. 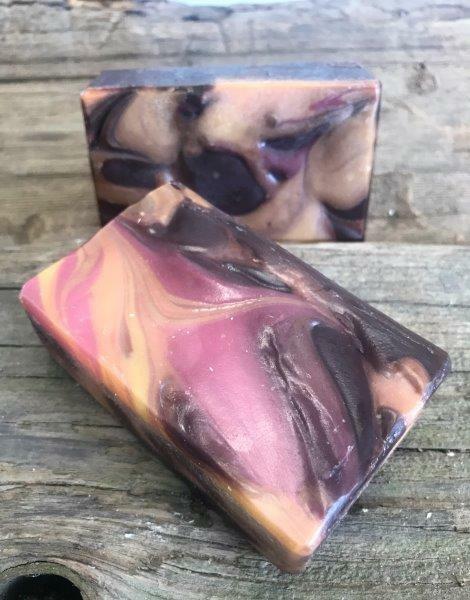 It's one of our most popular soaps! 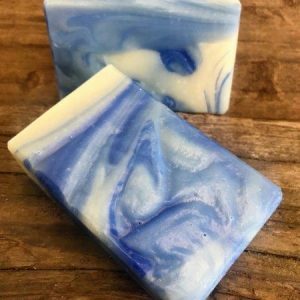 Celestial Waters is a beautiful blue and white swirling pattern. Neither floral nor fruity, this fragrance is a light, clean scent designed to delight the senses, and take you to a calm, happy place! Men seem to like this fragrance as much as women.